When leaving your dog overnight, you want to make sure he or she is completely safe and secure – both physically and emotionally. We do, too. 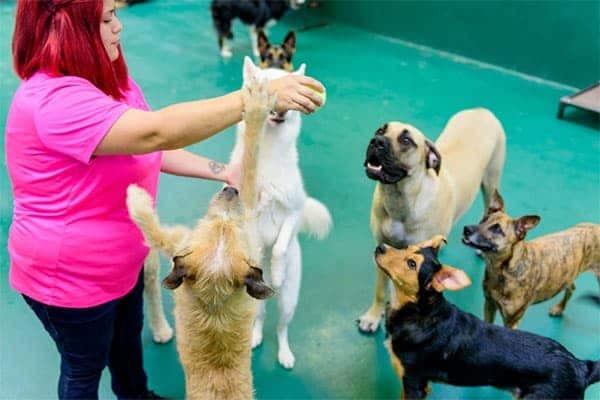 We’re passionate about giving them the best service possible, learning about their individual needs and never charging additional fees for special feedings or nutritional needs. Learn more about our Paw Commons dog boarding here. New Client Special: First Two Nights Free! Minimum 4 night stay to get 2 free nights. Or First Night Free with minimum stay of 2 nights. Cannot be combined with any other discounts. Must mention special at time of booking. Not valid over holidays. Offers valid at Encinitas location only.